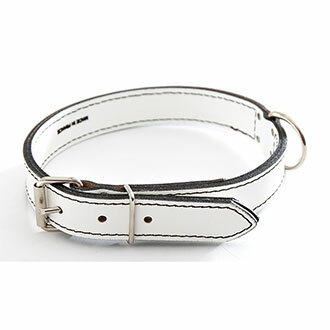 White leather dog collar. Leather saddle stitching. Full lined quilted leather. Sewn assembly. Nickel buckles. Made in France.